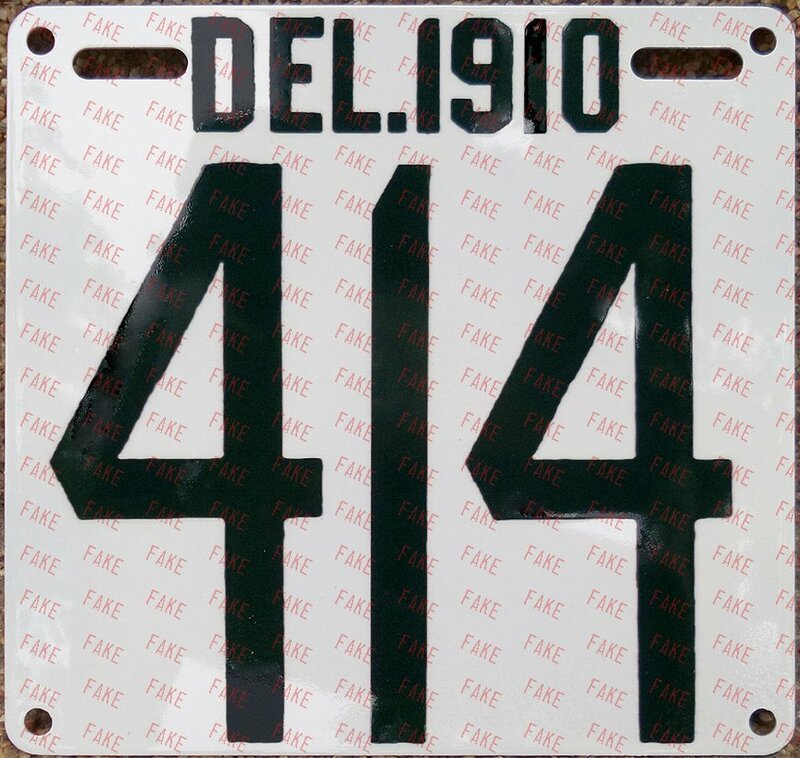 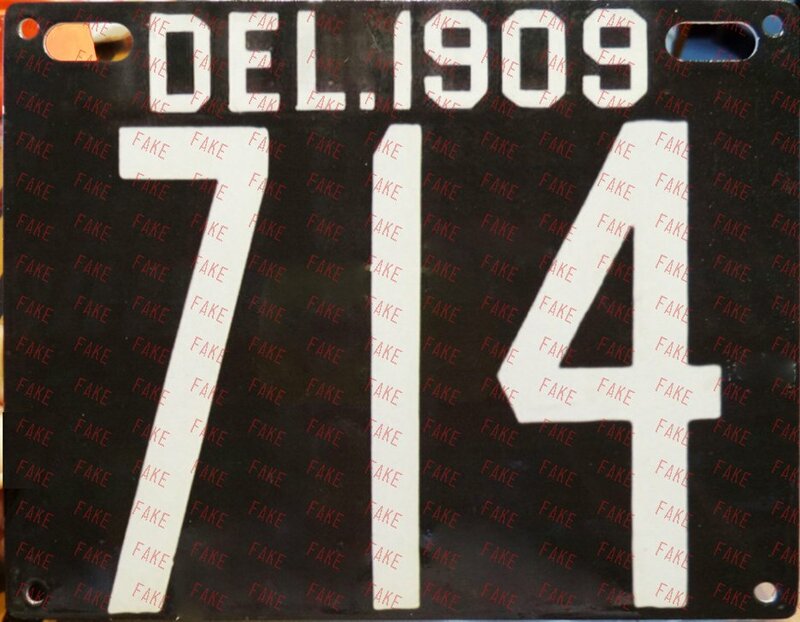 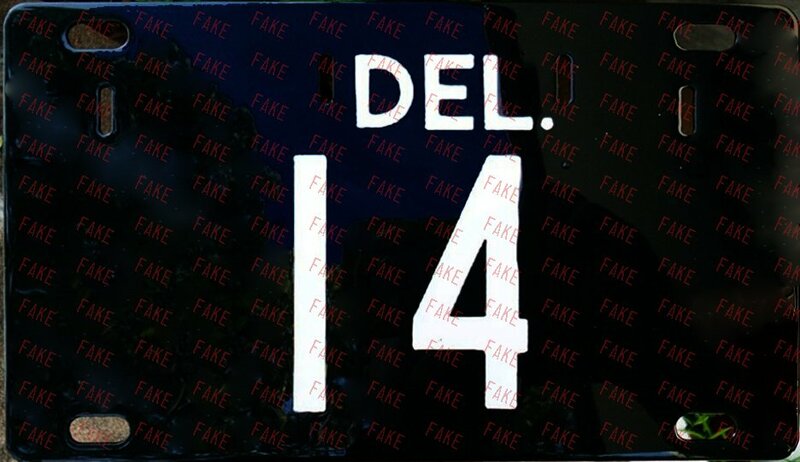 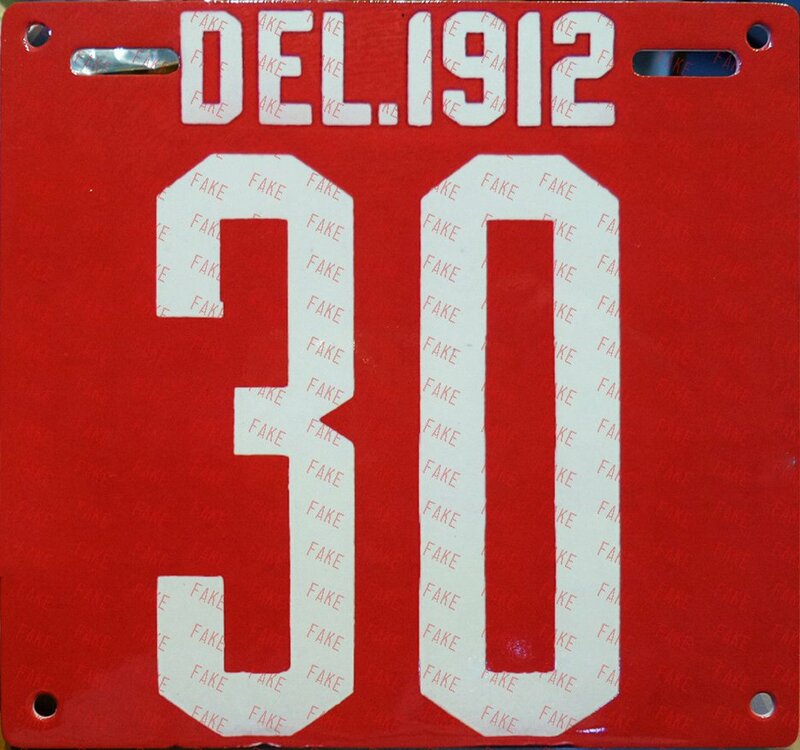 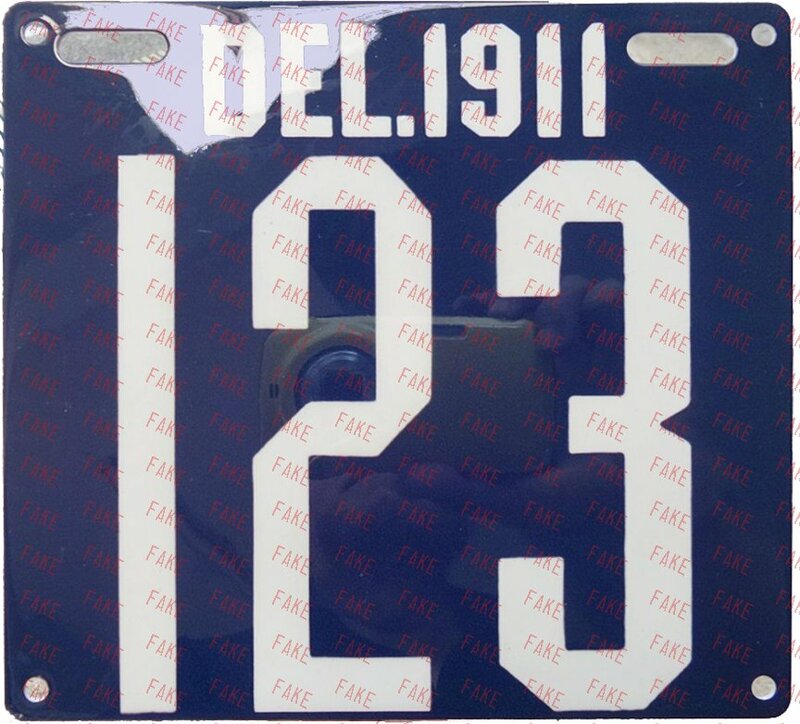 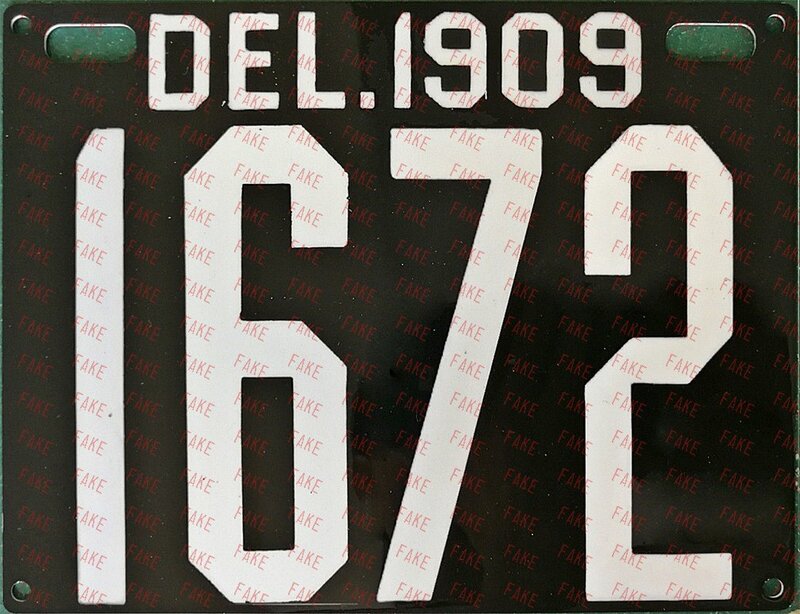 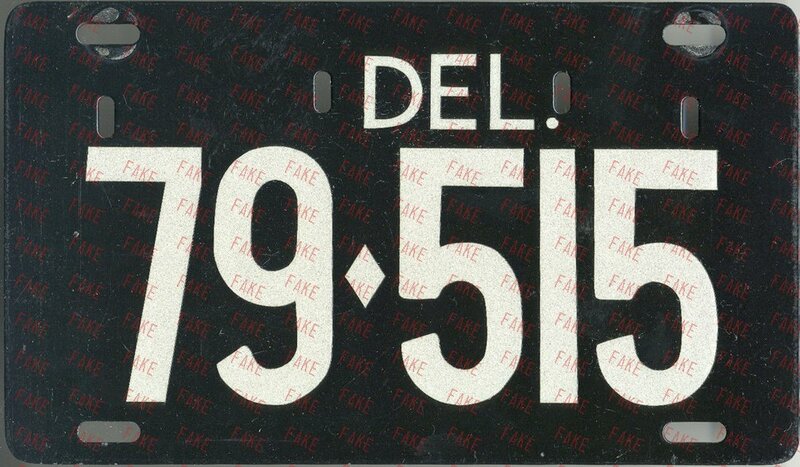 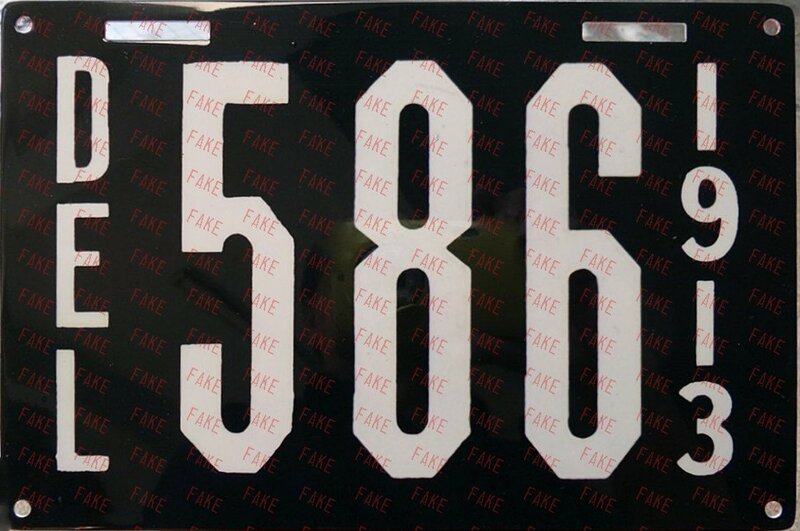 From Dave Lincoln (Sept. 2016): "this is a souvenir vanity plate made for front use in a one-plate state. 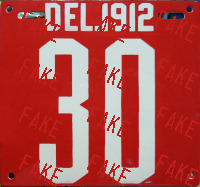 yes it is 'similar' to certain DE official and political issues; however it has NO connection to anyone famous nor does it represent anything at all, registration-wise, and was NOT DMV produced. 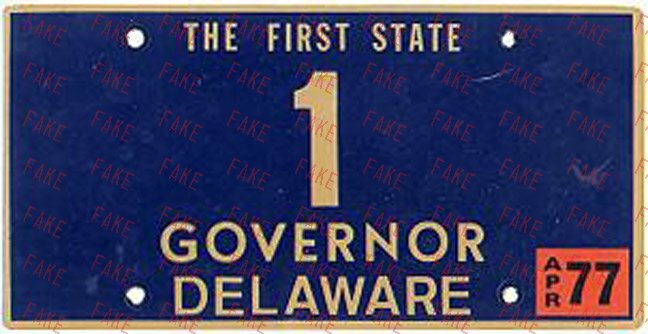 most of these white tags with the State emblem were made by a retired state trooper named tom logullo who had a private mini silk screen operation in his basement, and State permission to use the colorful seal on souvenirs. 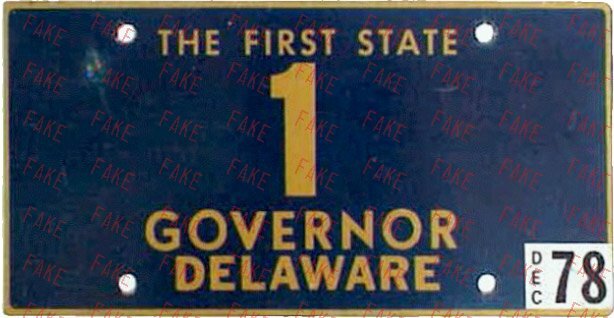 i have found these in scrap yards and flea markets for a dollar or so. 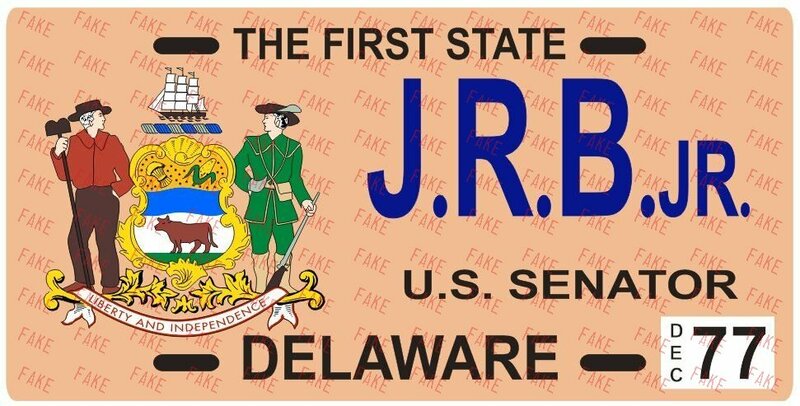 they are not rare." 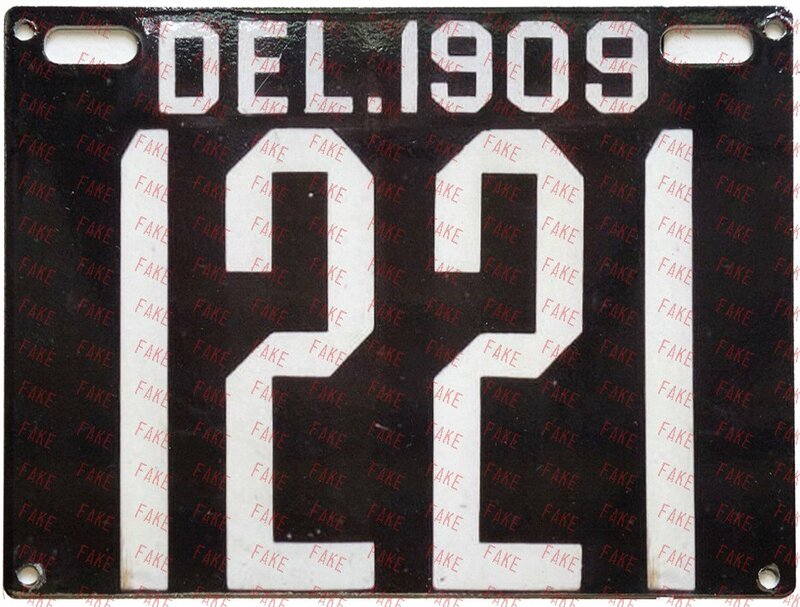 Official souvenir with any year date sticker. 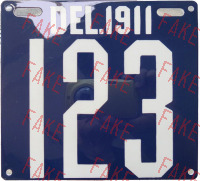 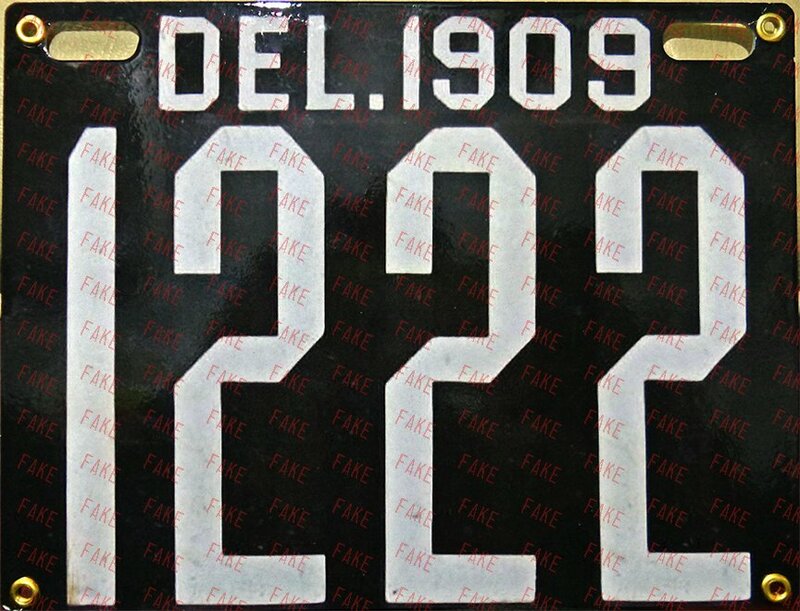 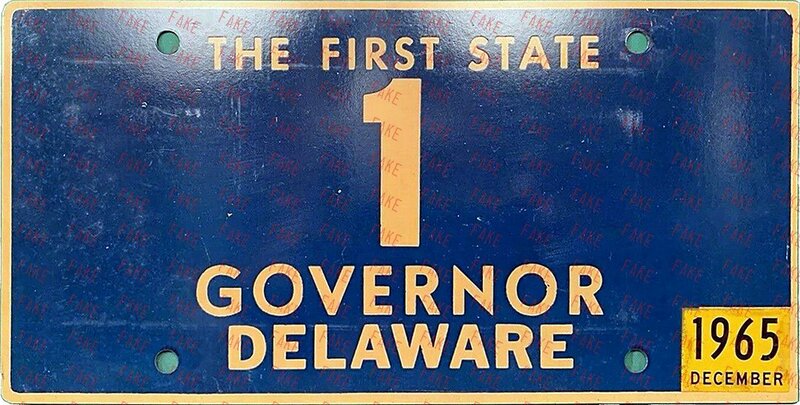 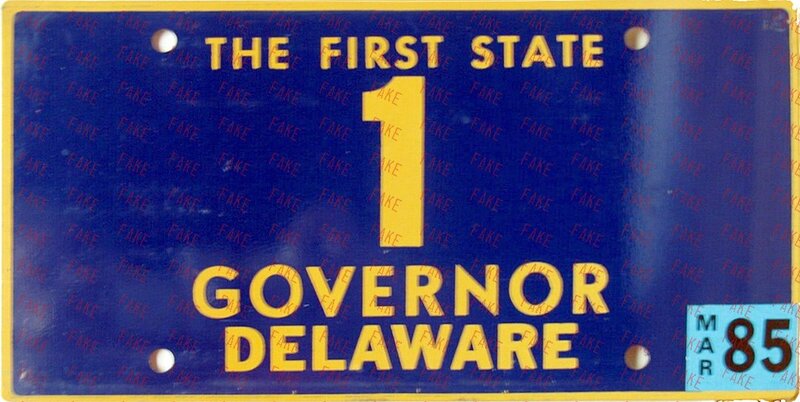 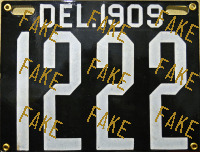 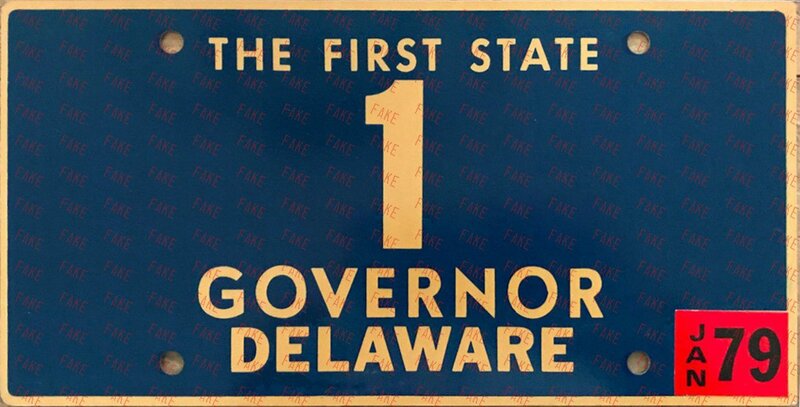 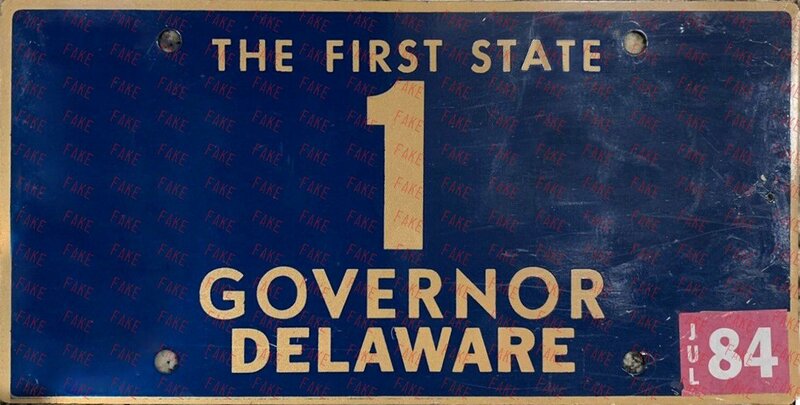 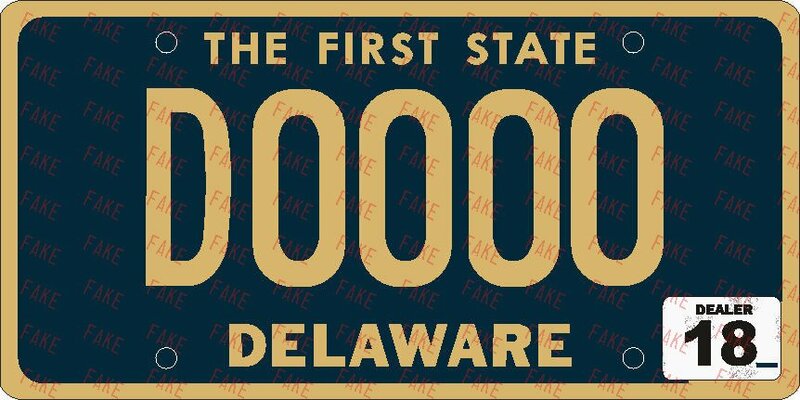 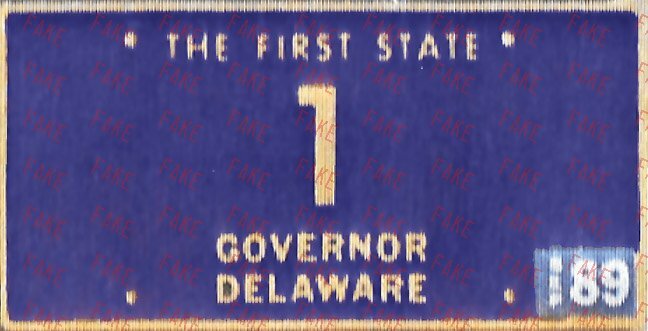 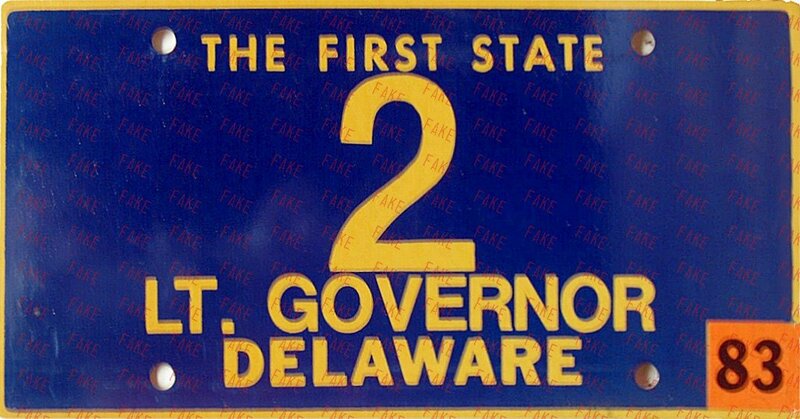 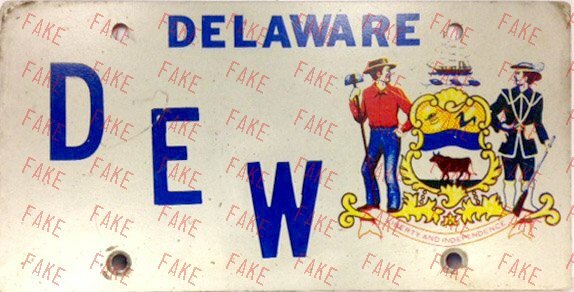 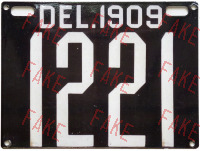 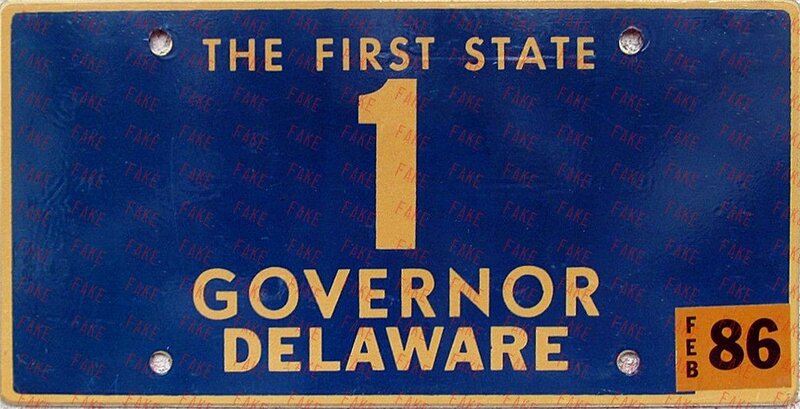 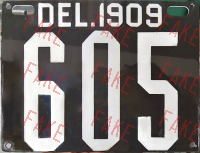 Any "THE FIRST STATE" blue-base Governor plate with border should be suspect, without credible provenance provided. 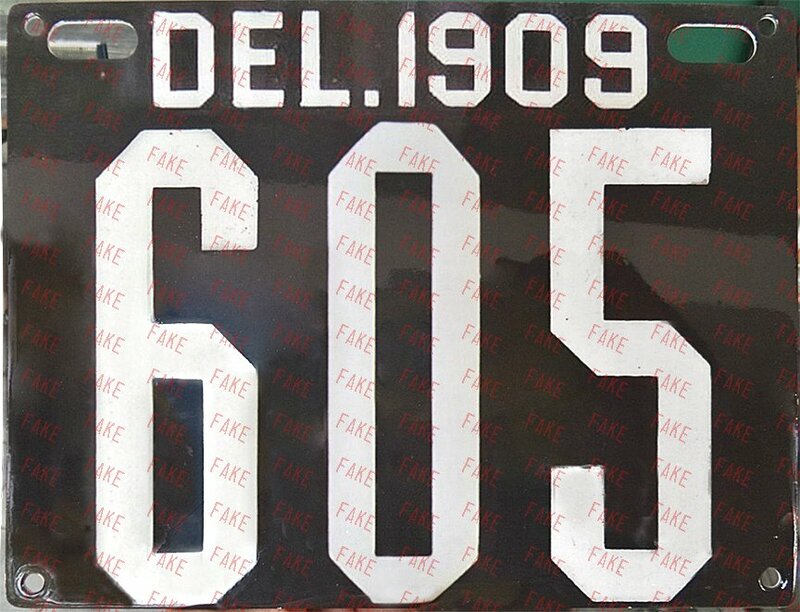 As with all high political office plates, unused plates and those without provenance should be considered to be souvenir plates.